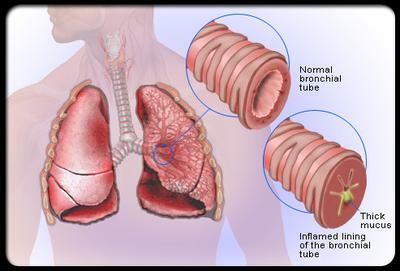 Is there a quick cure or natural remedy for bronchitis? I need one A.S.A.P. Hi Sharon, and thanks for your question regarding a quick home remedy to get rid of your bronchitis. This is a traditional old folk remedy that grandma would have used and its effect is several fold. Firstly, it helps to break down mucus and phlegm in the bronchial tubes and nasal passages. Secondly, its anti-viral, anti-bacterial and anti-inflammatory properties (and immune boosting properties) helps to relieve irritated, inflamed and swollen bronchial tubes to not only provide quick relief, but also help you to get over the illness in a matter of days rather than weeks. Some "added extras" you can mix in with your tea if you like include onion juice (this does alter the taste in a not so good way though), along with turmeric, cinnamon and a bit of cayenne pepper for their powerful immune boosting and anti-inflammatory benefits. Add half a teaspoon of ground ginger, one teaspoon of natural honey (preferably Manuka honey) in a cup of hot water. Stir in the juice of half a fresh squeezed lemon and drink the mixture two to three times daily for some welcome relief. As an alternative, you can add half a teaspoon of cinnamon and turmeric powder, along with a pinch of cayenne pepper for an extra "kick". Onion juice also helps to break up mucus and phlegm so add a dash of the juice to increase the potency even more. In addition to drinking the tea, take garlic capsules (preferably odorless garlic) for its powerful anti-vial and antibiotic properties. This will help your body to overcome the infection ever faster. Finally, avoid all dairy products, especially cows milk. Dairy foods are mucous and phlegm forming and will only make your bronchitis much worse. So hopefully these tips help you out Sharon. It really works. Wow. I am finally free of my bronchial cough. I am amazed. Glad it helped you Mohsin. All the best! Yup, worked for me too. I was coughing up horrible phlegm and breathing like a bear. Planned on going to the hospital but wife suggested this concoction first. Saved me from sitting in the ED department for 6 hours!